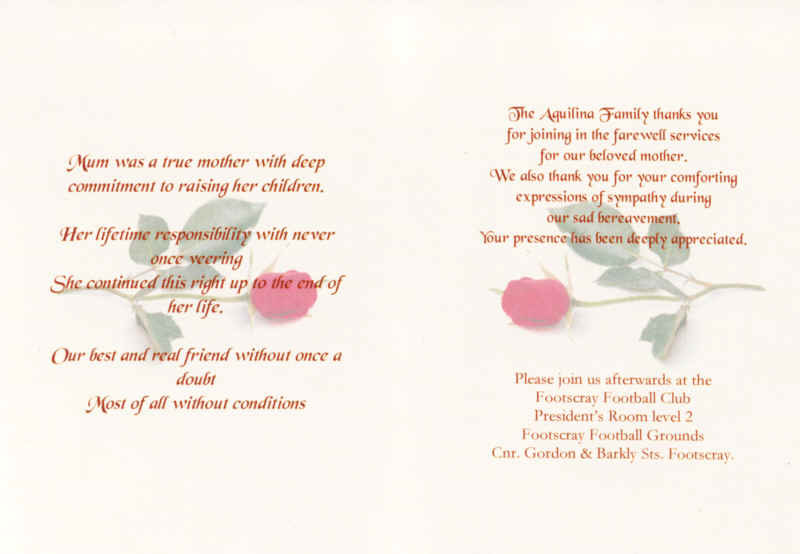 Young Victor's Mother Josephine Aquilina passes away. Today 24th. 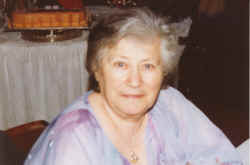 May 2006 - At 4.55 am Young Victor's beloved mother passed away. 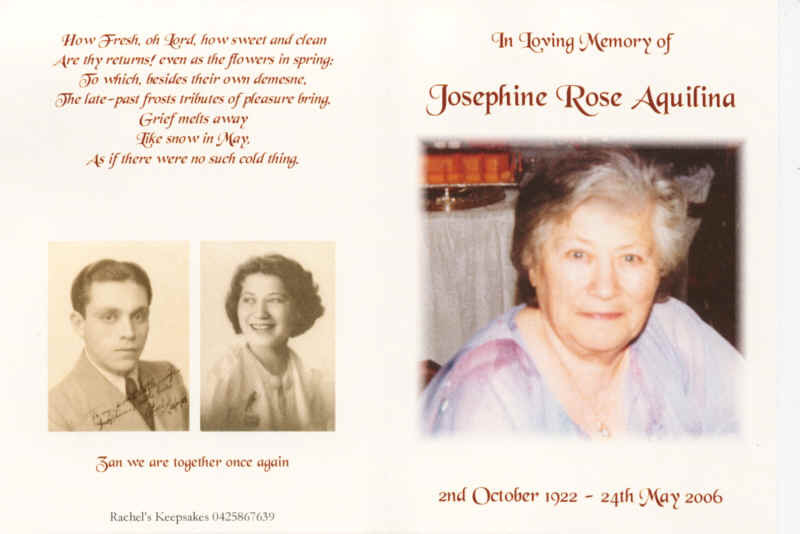 Josephine Rose Aquilina dedicated parent of four children Victor, Alex, Joseph and Tony. Church Service - 29th. May 06 - will be Mass at Saint Mary's Star of the Sea Church West Melbourne Cnr. Victoria & Howard Sts. at 10:30am. Burial will be at the Footscray Cemetery Geelong Rd. time 1:00pm. Young Victor kindly welcomes all Boxing associates and friends to these services. Josephine Rose Aquilina as known to friends in North Melbourne. Mother's Day 14th. May 2006. Young Victor's mother Josephine Aquilina seems to be at the end of her life and the whole family has been consistently visiting her hoping we are making her life fulfilled. She will leave behind two other brothers Alex and Tony. She is 83 years old and only lived for her children.